When Apple (AAPL) CEO Steve Jobs kicked off this year's Macworld Conference & Expo, he once again raised the bar on presentation skills. While most presenters simply convey information, Jobs also inspires. He sells the steak and the sizzle at the same time, as one reader commented a few years ago. I analyzed his latest presentation and extracted the 10 elements that you can combine to dazzle your own audience. Bear in mind that Jobs has been refining his skills for years. I broke down his 2007 Macworld keynote in a previous column (BusinessWeek.com, 7/6/07) and in a chapter in my latest book. Still, how he actually arrives at what appear to be effortless presentations bears expanding on and explaining again. 1. Set the theme. "There is something in the air today." With those words, Jobs opened Macworld. By doing so, he set the theme for his presentation (BusinessWeek.com, 1/15/08) and hinted at the key product announcement—the ultrathin MacBook Air laptop. Every presentation needs a theme, but you don't have to deliver it at the start. Last year, Jobs delivered the theme about 20 minutes into his presentation: "Today Apple reinvents the phone." Once you identify your theme, make sure you deliver it several times throughout your presentation. 2. Demonstrate enthusiasm. Jobs shows his passion for computer design. During his presentation he used words like "extraordinary," "amazing," and "cool." When demonstrating a new location feature for the iPhone, Jobs said, "It works pretty doggone well." Most speakers have room to add some flair to their presentations. Remember, your audience wants to be wowed, not put to sleep. Next time you're crafting or delivering a presentation, think about injecting your own personality into it. If you think a particular feature of your product is "awesome," say it. Most speakers get into presentation mode and feel as though they have to strip the talk of any fun. If you are not enthusiastic about your own products or services, how do you expect your audience to be? 3. Provide an outline. Jobs outlined the presentation by saying, "There are four things I want to talk about today. So let's get started…" Jobs followed his outline by verbally opening and closing each of the four sections and making clear transitions in between. For example, after revealing several new iPhone features, he said, "The iPhone is not standing still. We keep making it better and better and better. That was the second thing I wanted to talk about today. No. 3 is about iTunes." Make lists and provide your audience with guideposts along the way. 4. Make numbers meaningful. When Jobs announced that Apple had sold 4 million iPhones to date, he didn't simply leave the number out of context. Instead, he put it in perspective by adding, "That's 20,000 iPhones every day, on average." Jobs went on to say, "What does that mean to the overall market?" Jobs detailed the breakdown of the U.S smartphone market and Apple's share of it to demonstrate just how impressive the number actually is. Jobs also pointed out that Apple's market share equals the share of its top three competitors combined. Numbers don't mean much unless they are placed in context. Connect the dots for your listeners. 5. Try for an unforgettable moment. This is the moment in your presentation that everyone will be talking about. Every Steve Jobs presentation builds up to one big scene. In this year's Macworld keynote, it was the announcement of MacBook Air. To demonstrate just how thin it is, Jobs said it would fit in an envelope. Jobs drew cheers by opening a manila interoffice envelope and holding the laptop for everyone to see. What is the one memorable moment of your presentation? Identify it ahead of time and build up to it. 6. Create visual slides. While most speakers fill their slides with data, text, and charts, Jobs does the opposite. There is very little text on a Steve Jobs slide. Most of the slides simply show one image. For example, his phrase "The first thing I want to talk to you about today…" was accompanied by a slide with the numeral 1. That's it. Just the number. When Jobs discussed a specific product like the iPhone, the audience saw a slide with an image of the product. When text was introduced, it was often revealed as short sentences (three or four words) to the right of the image. Sometimes, there were no images at all on the slide but a sentence that Jobs had delivered such as "There is something in the air." There is a trend in public speaking to paint a picture for audiences by creating more visual graphics. Inspiring presenters are short on bullet points and big on graphics. 7. Give 'em a show. A Jobs presentation has ebbs and flows, themes and transitions. Since he's giving his audience a show instead of simply delivering information, Jobs includes video clips, demonstrations, and guests he shares the stage with. In his latest keynote, the audience heard from Jim Gianopulos, CEO and chairman of Fox Filmed Entertainment, and Paul Otellini, CEO of Intel ((INTC). Enhance your presentations by incorporating multimedia, product demonstrations, or giving others the chance to say a few words. 8. Don't sweat the small stuff. Despite your best preparation, something might go wrong as it did during the keynote. Jobs was about to show some photographs from a live Web site, and the screen went black while Jobs waited for the image to appear. It never did. Jobs smiled and said, "Well, I guess Flickr isn't serving up the photos today." He then recapped the new features he had just introduced. That's it. It was no big deal. I have seen presenters get flustered over minor glitches. Don't sweat minor mishaps. Have fun. Few will remember a glitch unless you call attention to it. 9. Sell the benefit. While most presenters promote product features, Jobs sells benefits. When introducing iTunes movie rentals, Jobs said, "We think there is a better way to deliver movie content to our customers." Jobs explained the benefit by saying, "We've never offered a rental model in music because people want to own their music. You listen to your favorite song thousands of times in your life. But most of us watch movies once, maybe a few times. And renting is a great way to do it. It's less expensive, doesn't take up space on our hard drive…" Your listeners are always asking themselves, "What's in it for me?" Answer the question. Don't make them guess. 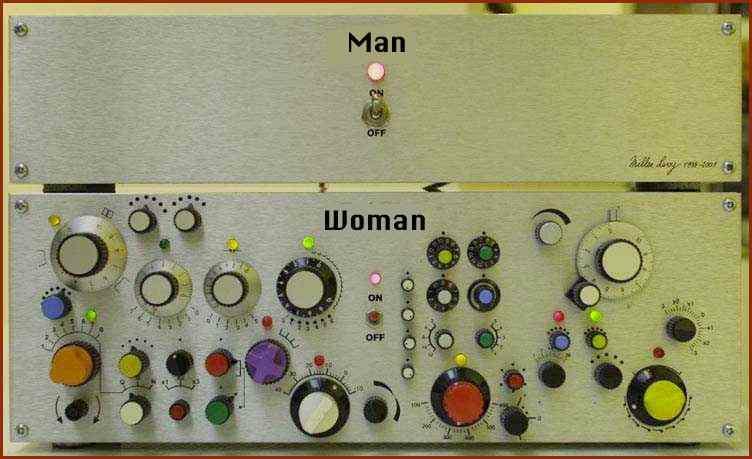 Clearly state the benefit of every service, feature, or product. 10. Rehearse, rehearse, rehearse. Steve Jobs cannot pull off an intricate presentation with video clips, demonstrations, and outside speakers without hours of rehearsal. I have spoken to people within Apple who tell me that Jobs rehearses the entire presentation aloud for many hours. Nothing is taken for granted. You can see he rehearsed the Macworld presentation because his words were often perfectly synchronized with the images and text on the slides. When Jobs was showing examples of the films that are available on the new iTunes movie rental service, one poster of a particular film appeared at the exact moment he began to talk about it. The entire presentation was coordinated. A Steve Jobs presentation looks effortless because it is well-rehearsed. After all the industry speculation about MySQL being a “hot 2008 IPO”, this probably takes most of us by surprise — users, community members, customers, partners, and employees. And for all of these stakeholders, it may take some time to digest what this means. Depending on one’s relationship to MySQL, the immediate reaction upon hearing the news may be a mixture of various feelings, including excitement, pride, disbelief and satisfaction, but also anxiety. Being part of the group planning this announcement for the last few weeks, I have had the fortune to contemplate the consequences during several partially sleepless nights (I usually sleep like a log). And over the coming days and weeks, I’ll provide a series of blogs with various viewpoints of the deal. First of all, let’s point out a couple of facts about Sun Microsystems — since all MySQL stakeholders may not be fully up to speed about Sun. For me personally, I’m excited to get the opportunity to actively contribute to the successful integration of MySQL into Sun. I want to make an impact in merging our corporate cultures, and I look forward to making that a bi-directional process. Since I am based outside the US, I am particularly excited about meeting the many Sun engineers located in Hamburg (Germany), Grenoble (France), Prague (Czech Republic), St Petersburg (Russia), Beijing (China) and Bangalore (India). But let me now turn to the more general planned implications of Sun’s acquisition of MySQL AB. What does the acquisition of MySQL by Sun mean for MySQL users? Given Sun’s proven track record as the largest contributor to Open Source, I think MySQL users have plenty of reason to feel happy about the acquisition. There are many companies that attempt to ride the wave of positive attention towards Open Source, but in my judgement, Sun gets it right. Sun gets Open Source. Java has been released under the GPL. There’s the OpenSolaris operating system. There’s Open Office / Star Office. There’s the GlassFish application server. There’s the NetBeans IDE tool. And more. Sun’s track record is embodied by individuals with a solid set of FOSS values, such as Simon Phipps (Sun’s Chief Open Source Officer), Ian Murdock (Debian founder, now Sun’s Chief OS Strategist), and Josh Berkus (PostgreSQL lead). I’ve met all three in various FOSS arenas, I respect their work, and I am looking forward to be working closely with them. Anxiety on the part of MySQL users may stem from Sun’s success with Java and Solaris. Will MySQL’s support for other programming languages and operating systems now be given less attention? Absolutely not. MySQL is still being managed by the same people, and the charter is still the same. There is no need for reducing the set of platforms or languages. It only makes sense for us to continue to support defacto Web development standards like LAMP, as well as emerging ones like Ruby and Eclipse. This deal is about addition, not subtraction. But let’s dwell on the topic of Solaris a bit. Solaris has a special position in the heart of MySQL, as it was the first platform under which MySQL was developed. Linux came second. Internally, code coverage tests were long performed just on Sun. And with the DTrace probes planned as part of 6.0, some types of optimisation of MySQL applications are the easiest on Solaris. I would expect that having access to the topmost Solaris and Java experts within the same company will accelerate our development for the benefit of MySQL users on the Solaris platform, and in the Java environment, respectively. But I don’t expect that in any way to be at the cost of other popular operating systems (Linux, Windows, Mac OS/X, other Unixes etc.) or development environments (PHP, Ruby on Rails, Perl, Python, ODBC, C++, C#, VB etc.). MySQL grew with LAMP and MySQL without LAMP at its core is simply unimaginable. It was MySQLs part of LAMP that interested Sun in the first place. Hence I don’t see Sun having a platform migration strategy, but to continue to be an integral part of the dot in .com. So while the news may be especially good for MySQL users on Solaris and/or Java, the news is definitely good irrespective of environment: As part of Sun, the MySQL database will have immediate access to technical, marketing, OSS developer relations and sales rescources that would have taken us years to build as an independent company. What does the acquisition of MySQL by Sun mean for the core MySQL community? I’d like to think that the acquisition of MySQL by Sun will be seen as good news also by the core group of users who form the active MySQL community. This is because Sun is a safe haven for MySQL. Sun knows Open Source, and to the extent things change, I expect Sun to add value to our community. I don’t expect huge change, though. We continue to work with our quality contributors, we continue to provide our MySQL Forums, the Planet MySQL blog aggregator, we remain on the #mysql-dev and #mysql channels on Freenode, we provide MySQL University lessons, we meet at the MySQL Users Conference. We’ll put effort into connecting the many FOSS enthusiasts and experts at Sun — whom we will now learn to know better — with our active user community. What does the acquisition of MySQL by Sun mean for the MySQL employees? Admittedly, this blog is not directed at MySQL employees. We have a different, internal blog called “Village MySQL” for that purpose (as opposed to “Planet MySQL”). But many of our users, community members, customers, and partners have close relationships with MySQL employees — and you may be interested in what Sun’s acquisition of MySQL means for the employees. For employees, Sun’s acquisition means continuity. Mårten Mickos will continue to lead us, and our executives and key engineering leads plan to join Sun. In addition, our existing engineering staff will be invited to come over as well. Sun executives have made us feel very welcomed and valued. Very important for our employees is the fact that we can continue to work on Free and Open Source software. We can continue to work from home (as most of us do, including myself). Titles, reporting structures, and long-term goals may change, but as acquisition goes, the Sun culture as I’ve experienced it so far seems fairly similar to ours. And — whether it’s destiny, divinity or just good luck — we get the opportunity to digest all of this together, during the MySQL All-Company Meeting here in Orlando. It goes on this week until Saturday 19 Jan. Being acquired by Sun is unique for all of us MySQLers. But for two very special employees, it’s something even more. I’m thinking of our founders, Michael “Monty” Widenius and David Axmark. I’m very happy for them. Sure, the transaction has a financial impact on them, and it’s positive. But we’re humble Scandinavians, so we don’t flash money, nor even talk about it. More importantly, I can see their heritage being in good hands at Sun. They didn’t develop MySQL in order to Get Rich Quick; in fact, they rejected offers that would have accomplished that goal during the Bubble. They developed MySQL in order to have a positive impact on the world of computing. And as a step in that direction, they took in venture financing. VCs are more motivated by money than our founders, and obviously look for a return on their investment. That involves either an IPO or a trade sale. Of all candidates to acquire MySQL, I cannot imagine a more ideal buyer from a founder perspective than Sun Microsystems. If I know our founders right (and I’ve known Monty since the late 1970s and David since the 1980s), they will use this deal as an opportunity to accomplish even more within the space of Open Source and Sun Microsystems. Congratulations, Monty and David! And congratulations, MySQL users, community members, customers, partners and employees! Azam tahun baru? I dunno i have to set something and it has to do with life. Aku tetapkan sehingga 2010 untuk mendapat 5 angka thats when i reach 27. I have saw few friends made it dude and i want it too!!! 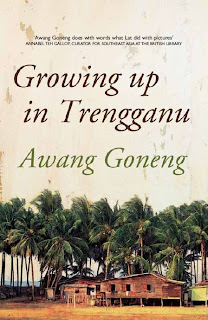 Growing Up in Trengganu started life as the much-celebrated blog of Awang Goneng (the pseudonym of UK-based Malaysian writer Wan Hulaimi) until it was found to be too good to exist only in cyberspace. Through a collection of memories retold in glorious colour, he evokes the pleasures of a kampung childhood for the benefit of new generations brought up in air-conditioned condominiums. Listen to the azan call to prayer from the surau of Haji Mat Kerinci, order satay with toast for breakfast, meet notables such as Tun Long the laundry man and Cik Wook Payong Löcöh, whose umbrella turned inside out in a storm, and relive the pleasure of hearing the rain hammer down on a corrugated-iron roof while reading The Beano and eating kuih putu. Sultans, sweetmeat sellers and shopkeepers all act as springboards as you meander through Trengganu history, and by the end of this book you will have painlessly mastered the ‘Trengganuspeak’ that foils even fellow Malaysians. #1 local nonfiction bestseller at MPH Bookstores Malaysia!